It wasn't simply love. It was a case of cold-blooded passion. 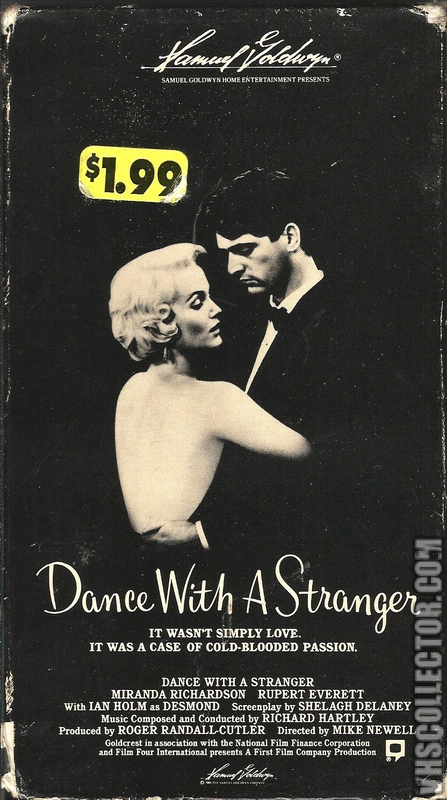 Dance with a Stranger is a 1985 British drama film, directed by Mike Newell. 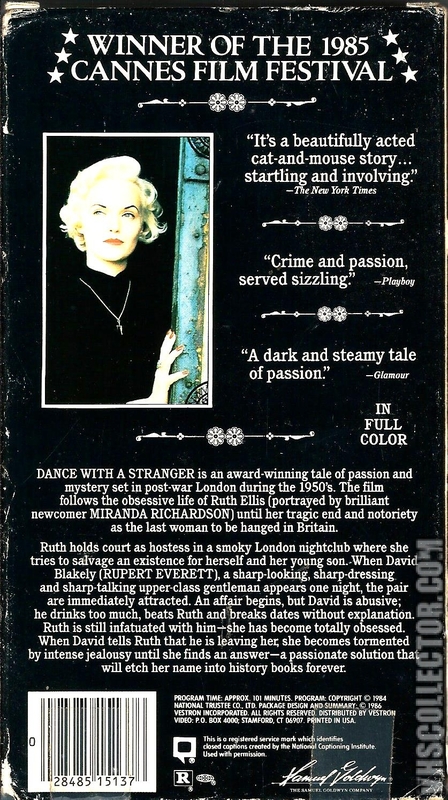 Telling the story of Ruth Ellis, the last woman to be hanged in Britain in the 1950s, this moving biographical British film won critical acclaim, and brought particular notice to the careers of both Miranda Richardson and Rupert Everett. The screenplay was by Shelagh Delaney, author of A Taste of Honey, and her third major screenplay. The story of Ellis, which this film dramatises, has very considerable resonance in Britain since it provided part of the background to the long-term national debates which eventually led to the effective abolition of capital punishment in 1965. The theme song "Would You Dance With a Stranger" was performed by Mari Wilson, and provided her with a hit single in the same year.